That’s the one that’s crashing to earth that year ? I’ve never said That as That or That THAT many times in a post..
She is no maverick or governor or a decent human being? Don’chano. 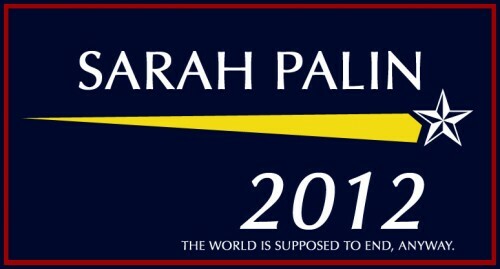 She may be the reason the world ends in 2012…kill her now…from orbit, with nukes…to be sure.